Israel, Gaza, and Collective Psychosis. The Israeli Military/Political body political is currently going through a period of collective, and murderous, psychosis. Employing an absurdist logical argument in defence of its actions that is, simply put: "If my enemy is hiding among innocent men, women and children I have the right to slaughter those innocent men women in children". It is a too often stated fallacy that victims of abuse inevitably end up being abusers. This is of course NOT the case but SOME victims of abuse do make the choice to themselves become the abuser as away of dealing with the feelings of humiliation, shame, and powerlessness that victimisation produces. Echoing through the ages, whether on a personal or national scale, the urge to destroy feelings of weakness and powerlessness can be temperately satisfied by destroying others that are perceived to be week and powerless as this Jungian shadow of shame and self hate, that the original victim finds impossible to accept in himself, is instead projected onto a new victim who can then be annihilated. All episodes of psychosis, however destructive, emerge out of psychological need and serve a 'positive' purpose for the patient in the short term. In this case the needs of the political/military body politic of Israel to exert an omnipotent godlike hyper-masculinity to extinguish historical feeling of shame, impotence, & powerlessness have created a waking dream/ nightmare on the streets of Gaza where the events of mid-20C central Europe are re-staged, but this time re-played with them in the role of the all powerful abuser, the oppressor, the subjugater, and the Palestinians cast as the abused, the oppressed, the subjugated.The power of life and death, the power to decide who lives and who dies, the power not care about who lies are who dies, these are the ultimate expressions of this twisted empowerment. When the Israeli Defence Force phones the head of a Palestinian family and tells them to leave their home, and that it going to destroy their home whether they remain inside it or not, it is exhibiting the stereotypical behaviour of the abuser, mind games that are all about rubbing the victims face in his or her lack of power, implicating them in their own emasculation, and emphasising absolute power of the abuser. This cathartic Psychosis is the only possible explanation for this campaign of indiscriminate killings carried out by the Israeli political/military body. It has no other political, security, military, or economic purpose. On the contrary it damages Israel in every single sphere, as it does the West in general. The only people ultimately empowered and emboldened by Gaza's nightmare are Islamist fundamentalists who have been given ample ammunition to claim that the West does not value Muslim life, possibly China and Russia too, as television pictures nightly reveal the very idea that the West posses 'higher' values being torn to shreds along with bodies of Palestinian children. Military: a conflict such as Israel/Palestine can never be won, or lost, militarily. Violence can only increase your bargaining position whenever a piece deal is eventually reached. If on the other hand you want to guarantee that there is never a piece deal, the best thing to do is turn your neighbours remaining land into a prison, ritually humiliate them, and slaughter their children, this will sow such deep seeds of fear, hatred, and loathing that your enemy may never want any kind of peace with you. Security; for Israel may never be achieved now that so many of the children and young people of Palestine have watched the slaughter of their families. Many of these children will now grow up so traumatised themselves and have so much fear and loathing of everything Israel stands for that they will dedicate their lives to wreaking revenge not Benjamin Netanyahu generation, old men who will soon be dead (not before they have been charged with war crimes hopefully) but on innocent Israelis who are now themselves children, and innocent Israeli citizens who are not even born yet. For all the catharses this toxic round of blood-letting is doing for the pseudo-virility of the likes of these tragic old men they may have ensured that it the Israelis of the future who will pay the price for this slaughter by never knowing what it is like to live in a safe, secure, and peaceful Israel. Political: As Orwell shows us, the ideal scenario for militaristic governments is a low level yet persistent state of chronic war (witness see el-Sisi, for instance apparently playing this trick to a tee in Egypt). It keeps its people living at a level of fear so that the majority will accept or even welcome the military being at the centre, or at least close to the enter of political power in order to protect them, but full blow conflict is not what any sane military establishment wants, it is too unpredictable and can result in ultimate defeat. By continually ratcheting up the animosity towards Israeli in the middle east while alienating its allies in the west Israeli appears to be painting itself into a box that leaves it locally isolated and laking international support leaving it weak, vulnerable, and unstable. Economic: Israel is not economically self-sufficient, its continued existence is entirely reliant on US finical aid, as it is not an economically viable entity it would collapse if US support was ever withdrawn - unless of course it became a truly integrated trading partner with its middle eastern neighbours. The present and necessary level of US economic support though will come to an an end at some point and Israel’s behaviour is doing everything possible to make that end come sooner rather than later. As Peter Schwartz put “My generation and most of today\'92s American leadership grew up with the Israelis as heroic good guys and Arabs/Persians as greedy bad guys. Those of the younger generation, my son Ben\'92s age (24), have a much more balanced view. Israel\'92s behaviour in their youth, the past two decades, has destroyed whatever moral standing the Israelis had with them”. However dark the present situation is hope is, must be, always present. A crises is always an opportunity for change, a re-birth, a new direction. Israeli killing spree has gone so far this time that it has disgusted the world at large. Demonstrations of solidarity with Palestine both virtual and material echo the support of the ANC and disgust at South Africa in a pre-internet 1980’s. Most importantly of all young people in America do not share an older generations reflex support for Israeli militarism, therefore demographics will ensure a future US government no longer signs the black check that keeps Israel afloat. If Israeli wants to continue to exist it simply has no choice but to make peace with its neighbour. 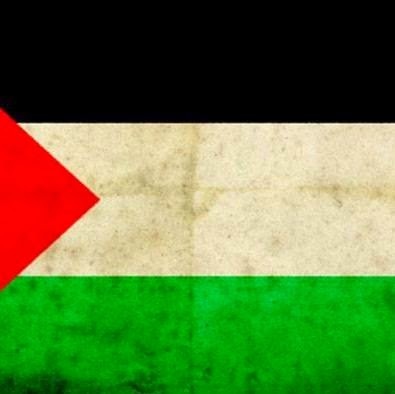 To do this Palestine must be set free, land returned, and reparation made to the Palestinian people. Next those most responsible for the slaughter of Gaza must stand trail at the Hague for War Crimes. Only then a can the long and difficult healing process begin that will ultimately ensure that those of all faiths and none can live side by side in peace. 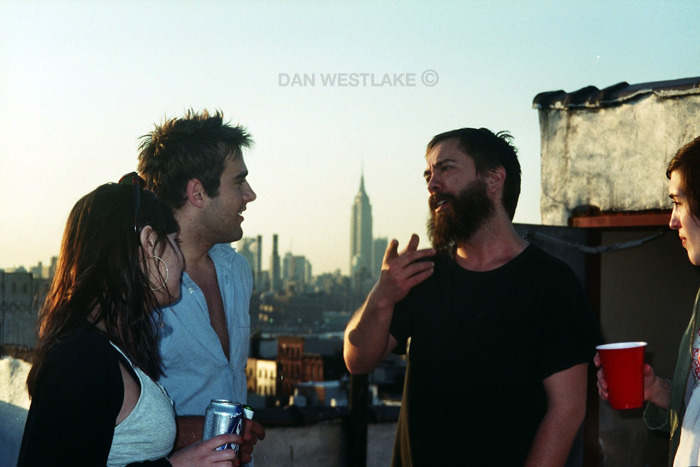 Some of my colour photographs of people taken in New York. Tony Benn was a mediocre minister when in power, a terrible grandstander once out, and a leading figure in a generation of failed Labour politicians that left the way open for the rise of Thatcherism, neoliberalism and the toxic strain of Capitalism that persists today, and a great admirer of Margaret Thatcher herself... no wonder he was the Left-winger most admired by the Right in general and the Daily Telegraph in particular. His elevation to tea-drinking 'Nation Treasure' status was nothing more than evidence of his complete failure as an advocate of Socialism and irrelevance to the shaping of the national discourse. It is when the right-wing press hate you that is a sign that they see you as a threat and take you seriously enough to fear you, that is the sign that you know you are doing well, not when they pat you on the head and patronise you. This is the thing to remember as we await the string of sycophantic tributes from across the political class's that will now inevitably follow his passing. We live today in a country ruled by a bunch of incompetent Old Etonians where the poor, the sick and immigrants are punished for an economy brought to its needs by the incompetence and avariciousness of a venal and corrupt 'greed is good' banking class. 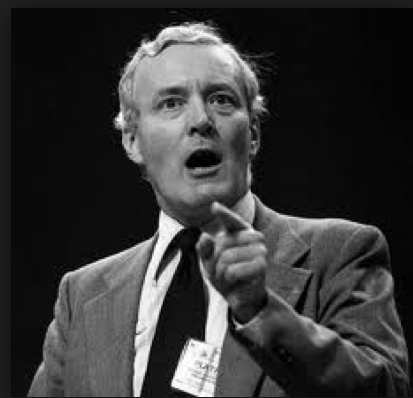 Despite her passing we are still living very much in Thatcher's Britain and as much as Thatcher is seen as an icon of the triumph of the Right, Benn can be viewed as a symbol of the abject failure of the left.